When it comes to landscape painting, Catskill’s most famous son, Thomas Cole, got the picture. A new site at the Platte Clove Preserve in Hunter has been added to the growing Hudson River School Art Trail which maps the painting sites of Thomas Cole and his contemporaries Frederic Church, Jasper Cropsey, Sanford Gifford and Asher B. Durand. A ribbon-cutting ceremony for the site and a kiosk with relevant information is scheduled for Wednesday at the site and will be attended by Assemblyman Chris Tague, R-102, and Hunter Town Supervisor Daryl Legg, Thomas Cole National Historic Site External Relations Director Jennifer Greim said. Greim added the trail will help connect visitors to the landscape Cole adored. 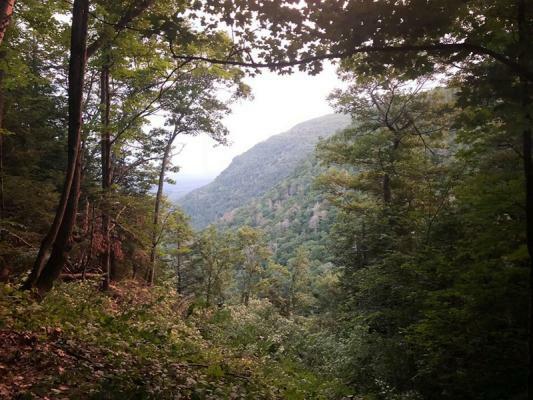 The site and the Arkville-based Catskill Center staffs have worked together on establishing the 200-acre Platte Clove site as a stop on the trail for over a year, Catskill Center Executive Director Jeff Senterman said. The trail has 17 stops scattered throughout the Hudson Valley and the Catskill Mountains. A new kiosk with information about the site and showcasing paintings of Durand is being built in anticipation for the Wednesday ceremony, Greim said, adding visitors can compare the paintings to the landscape right in front of them. Cole once wrote a letter to New York Evening Post editor William Cullen Bryant describing Platte Clove as a delicate morsel. The work of Hudson River School artists inspire people to want to preserve landscapes rather than destroy them, Greim said. The Catskill Center worked with Thomas Cole staff on deciding where the kiosk should be placed and a location was chosen one-tenth of a mile away from the road, Senterman said, adding center staff and volunteers started installing the kiosk last week. Senterman declined to reveal costs attached to the trail. Catskill Center staff hope the new distinction will help visitors see the clove, which is almost completely protected by the state, Senterman said. Thomas Cole and Catskill Center staffs were assisted with preparing the trail and kiosk by the New York State Water Resources Institute, the state Department of Environmental Conservation’s Hudson River Estuaries Program and the New York City Department of Environmental Protection, Greim said. “We are just thrilled to be sharing the final product with everyone,” she said. Platte Clove site research was conducted by Casey Monroe, a Cole Fellow who lives and works at the historic site and led the in-depth project, Greim said.